Pretty much everything in a preschooler’s life is new … and it’s all fascinating! Through each experience they learn more about the world, themselves, and hopefully, more about God. Fascinating Preschoolers is full of activities that will spark a preschooler’s interest, cause their eyes to get big with wonder, and connect them to their Creator. 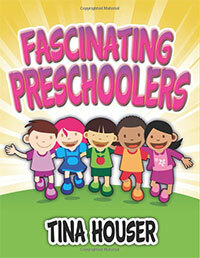 What will you find in Fascinating Preschoolers? There’s a full section on Sequencing Relays, a special type of relay designed by Tina and a wonderful way to exercise preschool working memory. Vocabulary is growing exponentially, so there’s a fun section on activities that introduce big words to little people. Science is never far away with Tina, so check out the section of fascinating experiments that are especially preschool friendly. 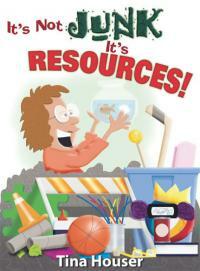 The book includes ideas for snacks, painting, plus 40 miscellaneous activities. Every fascinating activity will help you connect your preschoolers with the Word of God! To help you grow as a preschool teacher/leader/parent, Tina has written articles on topics that will nourish your personal development. Enjoy! 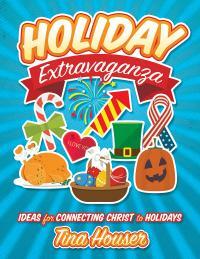 Holiday Extravaganza highlights 15 holidays, most of which are not traditionally centered in the Word of God. Even holidays that find their roots outside of Christian beliefs can be redeemed! Jesus used the things of the world to convey His message, and we can follow His example by taking these celebrations and giving them a new focus. April Fool’s Day can be a time to talk about Proverbs—what God considers wise and what He considers foolish. Earth Day becomes a time when we learn about bearing fruit in every season, and that God is the One to honor on this day. At Halloween teach your kids how God restores dry bones and gives them life! Included are multiple ways of connecting Scripture to 15 holidays. The week that transpires between the time of Jesus entering Jerusalem and His resurrection is jam-packed with significant stories. Jesus sure was busy in those few days! Two Sundays. Yes, two Sundays! That’s the amount of time that we devote to teaching our kids about all of these incredible events. We cram it all in by including one sentence about each scene. But this week deserves more. 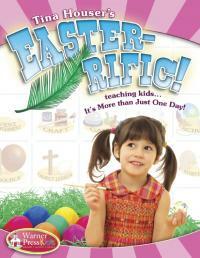 It’s the foundation of the Christian faith and we need to teach our children more diligently about each part of it. Easter-rific is Tina’s attempt at elevating our Easter celebration and helping you to intentionally teach ALL the stories of Jesus’ last week on Earth. The book contains at least three activities (which could be science experiments, crafts, games, or storytelling ideas) for 19 different stories. And then, she’s also included activities for four stories that occur before the ascension. Join Tina in celebrating Easter for more than two Sundays! 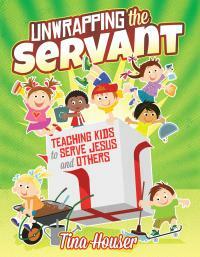 Much of the book is ideas on how kids can serve—how they can get their hands dirty while serving the Lord. Think beyond making a card or singing at a nursing home once a year. Families, classrooms, clubs, homeschoolers, and grandparents can all benefit from these ideas on serving. 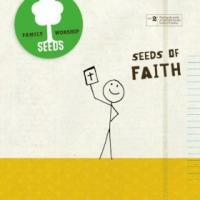 Serving together is one of the most significant faith formation influencers! Another portion of the book is devoted to a 6-week intensive program where everything is focused on serving others in the name of Jesus. Because it’s so concentrated and experiential, this program has had huge success in altering kids’ mindsets for a lifetime. This book is written in 3 major segments, and although intended for kids, there is absolutely no reason the same methods can’t be used for any age group! The first segment describes 14 keys to memorization. The second segment is a host of fun, energizing games and activities that will decrease the tediousness of scripture memorization. These fall in four categories, which are each critical to memorizing: repeat, relate, recall, and review. 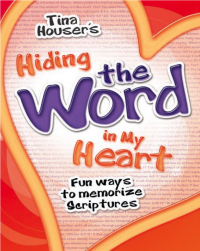 The third category contains the lesson plans for a 6-week intensive program of memorizing large portions of scripture, a task which children in early elementary are fully capable. Too often we think of prayer as being quiet, with our hands folded reverently. But, if we view prayer as a vital weapon in our arsenal against Satan, maybe we need to rethink that “quiet” stuff. 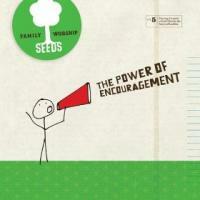 James 5:16 tells us that God’s power is released through fervent prayer … fervent. “Fervent” brings to mind words like bold, intense, zealous, and impassioned. That sure doesn’t sound quiet to me! 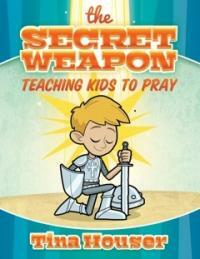 In the pages of this book you’ll find lots of ways for kids to use their secret weapon—prayer. 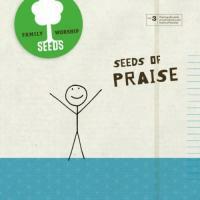 Kids will experience prayer and understand the potential of their Secret Weapon. The Bible clearly shows us that prayer is sometimes physical, sometimes loud, sometimes desperate. If the Bible is our Guide, then let’s give it a chance to speak into our lives. Filled with FUN devotional activities, Egermeier’s Fun Family Devotions – Old Testament will make it much easier for your family to come together around the Word of God … and it accompanies our favorite Bible storybook—Egermeier’s. This is the first time my husband, Ray, and I have written something together! 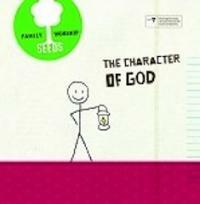 He wrote a short study of the Bible story for parents, along with a few questions for them to contemplate. Then, I’ve added two fun things to do TOGETHER as a family. These aren’t things you send your kids off to do on their own. One activity is geared toward a family with preschoolers, and the other toward a family with elementary-age kids. There are 52 Old Testament stories covered in this book. 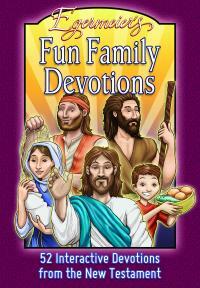 52 New Testament stories are also available in Tina’s Egermeier’s Fun Family Devotions – New Testament! 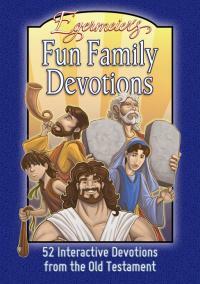 Egermeirer’s Fun Family Devotions – New Testament is full of more fun devotions for the family to share together. My husband, Ray, and I have worked together to provide something for everybody in the family in these devotions centered on 52 New Testament stories. 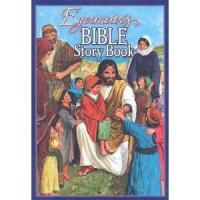 Like the previous Fun Family Devotions which dealt with stories from the Old Testament, Fun Family Devotions – New Testament is a great accompaniment to our favorite collection of stories from the Bible – Egermeirer’s Bible Story Book. 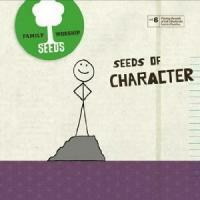 Each devotion includes a short study for the parents with a few questions for them to consider, a learning activity geared to familes with preschool children, and another activity for families with elementary-age children. Egermeier’s gets rave reviews from all denominations, because it’s biblically accurate. No people have been added … no animals tell the stories … names are not given when the Bible doesn’t include them. 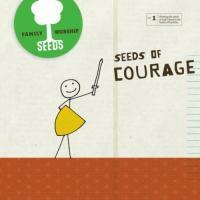 This is a phenomenal resource for every person teaching Bible to kids! 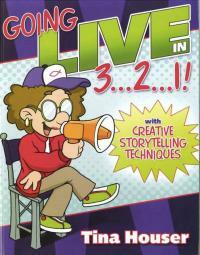 It’s a great companion resource to Goin’ Live in 3…2…1! because it’s your research and preparation Bible story book. 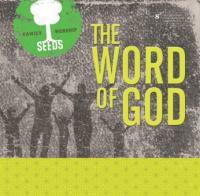 Read the Scripture, then read Egermeier’s, then decide how to present the story. Egermeier’s narrative will help you bring the story to life, no matter what storytelling technique you choose. By using scientific experiments to teach Bible stories, you’ll totally capture kids’ attention and help them remember what you’ve taught. Children love to watch surprises unfold before their eyes. 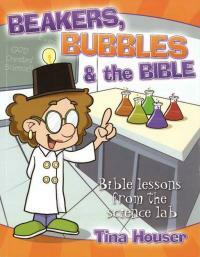 These experiments bring surprise and a Bible lesson together in a fun way that teaches kids how to live godly lives. So many people asked for more after using the original Beakers, Bubbles and the Bible that Tina has followed up with B,B,B #2 with over 50 new experiments! Just about everyone likes to be amazed by the mysteries of science. You can get and hold you students’ attention while you teach them biblical principles using simple science experiments. It’s a fun, fascinating way to drive a lesson home! 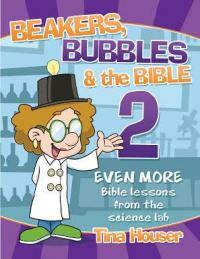 Tina’s favorite costumed character, Dr. Fran Bunsenburner, teaches scripture using science. Now you can bring this quirky scientist to your class. This live action DVD contains Dr. Bunsenburner using 10 fun experiments as object lessons that illustrate scriptural principles. In addition, you get a CD with alternate scriptures to use with the each experiment and instructions so you can do them yourself! Learn to use everyday items, even discarded items to help you teach creatively. Don’t let a lack of resources due to low finances or little vision for children’s ministry get in the way of your dream for a great work. Have you ever seen a child leave an expensive toy sitting idle while she enjoyed playing with the box it came in? 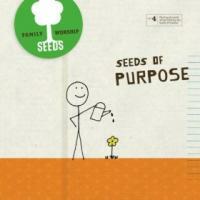 Tina shows you how to do fun and effective ministry using things others might call junk. Make refreshment time a teaching time by serving or having the children make delicious edibles that help them learn a Bible story. 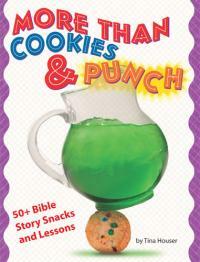 This creative book will help you turn snack time into teaching time with simple easy-to-make recipes, Bible stories and discussion questions. For example, kids will enjoy making tasty treats like the Pizza Snake while they learn about Adam and Eve in Genesis 2:8-3:24. Whether you use this book as part of Sunday school or home school lesson or as a guide for your family devotional time, kids will have fun, learn about the Bible and look forward to next week’s snacktivity! You won’t want to miss this exciting book! Learn how to incorporate 22 different techniques to tell Bible stories (or any other stories). You’ll be amazed how attentive, engaged, and excited your kids will be about the story when you present it in one of these creative ways. 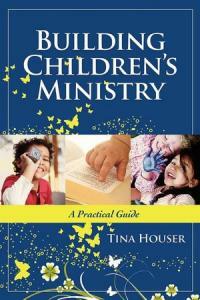 Learn step-by-step how to start or revitalize the children’s ministry at your church. Want to make it happen? Tina helps you get it going. 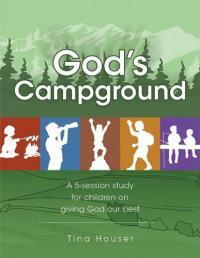 Five fun lessons about stewardship that use a camping motif. Your kids will “go camping” (indoors or outdoors) to explore how to make the best use of their decisions, natural resources, time, money, and personal skills.